Irina Gorin has watched the number of Carmel Klavier International Piano Competition participants nearly double since the start. 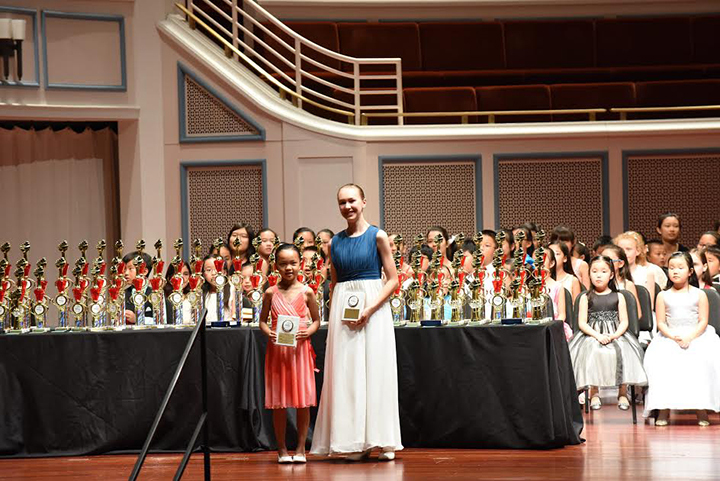 The fourth annual competition will be held on June 27 to July 1 in Carmel There will be 130 contestants ages 5 to 18 who will participate at the Center for the Performing Arts. The contestants represent Canada, Colombia, Japan, Mexico, Slovakia, Germany, China, and 14 states in the U.S. The finalists will compete in six categories including solo, duets, and concertos. The awards ceremony will be at 6:30 p.m., July 1 followed by the Winners’ Concert at 7:30 p.m. at the Palladium. Gorin, a Carmel resident and Carmel Klavier co-founder along with Liz Seidel, said there were 70 at the first competition. Approximately half of the 130 participants are from Indiana, Gorin said. Prairie Trace student Erica Lai, who will be a third-grader in August, won the 2016 essay title for elementary school students. Judging the essay competition was very time consuming. There will be a Duo Petrof concert at 7 p.m. June 27 at the Studio Theater at the Center for the Performing arts. Alexander Peskanov will give a lecture at 7 p.m. June 28 at the Piano Solutions, 575 W. Carmel Dr. The Carmel Klavier competition will provide musical education with piano master classes and private lessons, available throughout the competition. It is open to the general public. Musicians can register for all classes at CarmelKlavier.com. Master classes and lessons will be taught by our international jurors: Peskanov (Ukraine/USA), Anatoly Zatin (Ukraine/Mexico), Vlada Vassilieva (Russia/Mexico), Grace Fong (USA) and Phoenix Park (South Korea/USA). For information on donations, volunteer opportunities, registering for master classes or attending the event, visit CarmelKlavier.com. Tickets for the competition, Winners’ Concert and Duo Petrof Concert, can be purchased at thecenterpresents.org. Ticket prices are $15 to $25 for adults and $10 for children under age 18.